Beech Grove, Tenn.–Duck River Electric Membership Corporation senior lineman Dean Batey, of the Coffee County and Manchester area, died from injuries sustained in a fall as he tried to escape a bucket truck fire on Monday, July 9. An investigation is currently underway to determine the cause of the fire and the actions that led to Batey’s death. Batey was repairing a security light in Beech Grove at approximately 3:30 p.m. when the incident occurred. Homeowners, who were outside during the time of the incident, reported that Batey had begun working on the light when a fire suddenly ignited at the end of the boom connected to the truck’s bucket, which raises and lowers the lineman working on electrical equipment. As Batey attempted to lower the bucket and cradle it to safety, he was unable to complete the descent and was forced to release his safety harness and climb from the bucket. It is estimated that he jumped 12 to 15 feet from the bucket, and reportedly landed on his side. Batey was conscious and responsive when first responders transported him to Unity Medical Center in Manchester, and a life flight helicopter was on the scene ready to transport as medical teams worked to stabilize Batey. His injuries from the fall were severe; he died before he could be airlifted. “Batey was an experienced lineman and valuable member of our team, and this is a great loss to our cooperative family and community,” he said. A team of electric industry partners are assisting DREMC staff with investigating the fatal accident, including Tennessee’s Job Training & Safety, the Tennessee Occupational Safety and Health Administration, and representatives from the service truck manufacturer. Batey, 58, began working as a lineman for DREMC in May 1999. 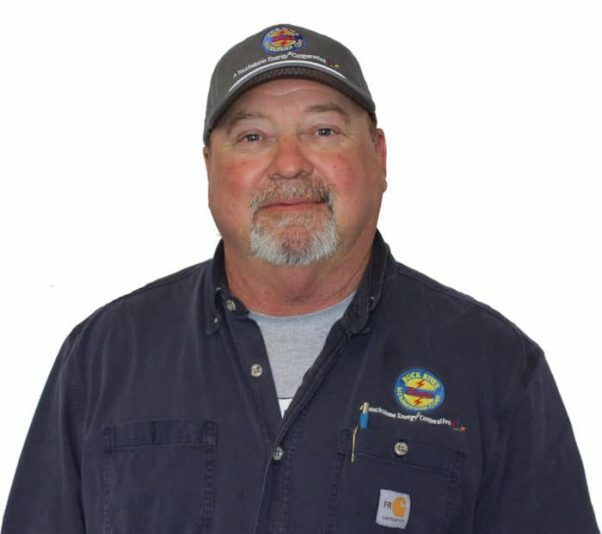 Prior to his 19-year career at the cooperative, Batey had spent 21 years in electrical work and was employed by Osborne Electric as a foreman before coming to DREMC.